There are a few different ways to make your custom presentation. To start a new presentation, first click the "Create Presentations" then click on the + sign in the Presentations tab of the Media Bar. This will open a blank Presentation and you can type in an ID and a Name. 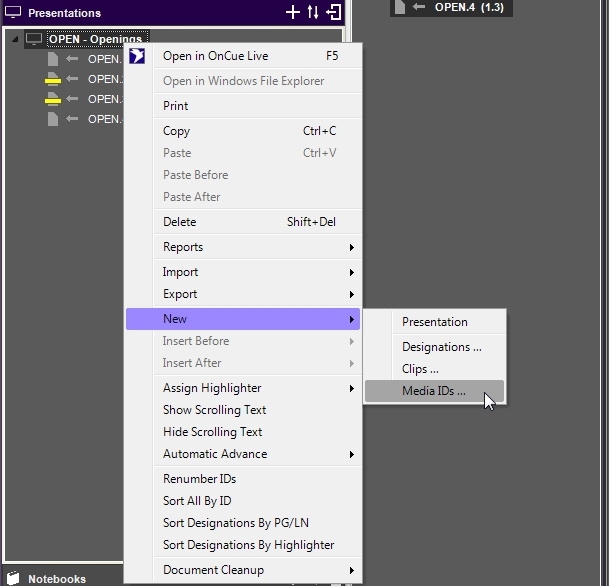 You can copy and paste, or drag and drop any media into your Presentation within OnCue. Click on your Presentation and then hit the Sidebar button. This opens a new pane next to the Media Bar. 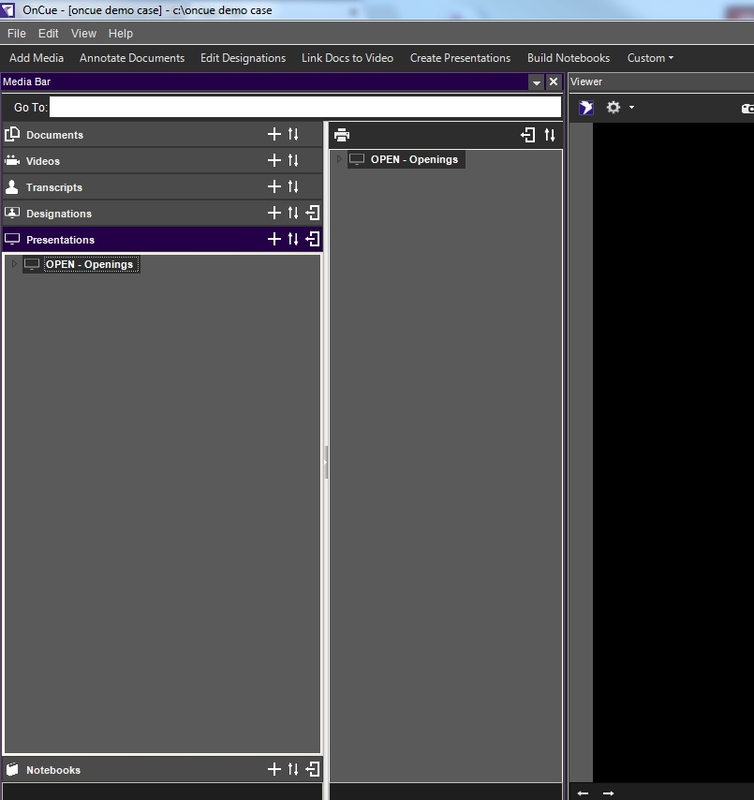 Within the Media Bar you can now select any page, designation, clip and drag it to the Presentation in the Sidebar. 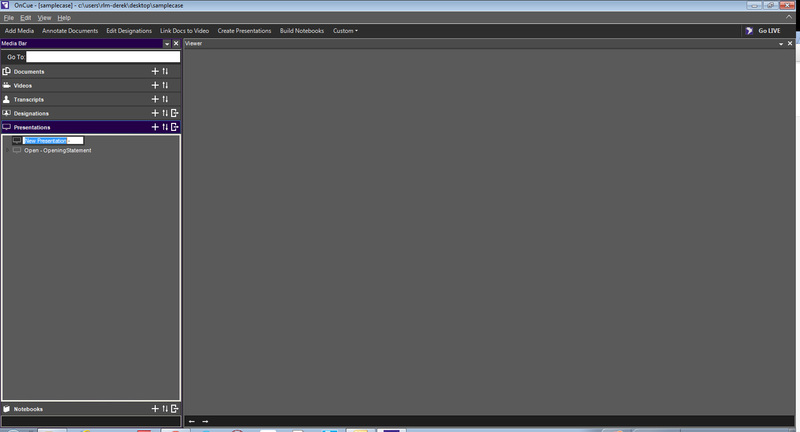 When you’re finished simply close the Sidebar. If you know the IDs you want to add to your Presentation you can also add them by right-clicking. 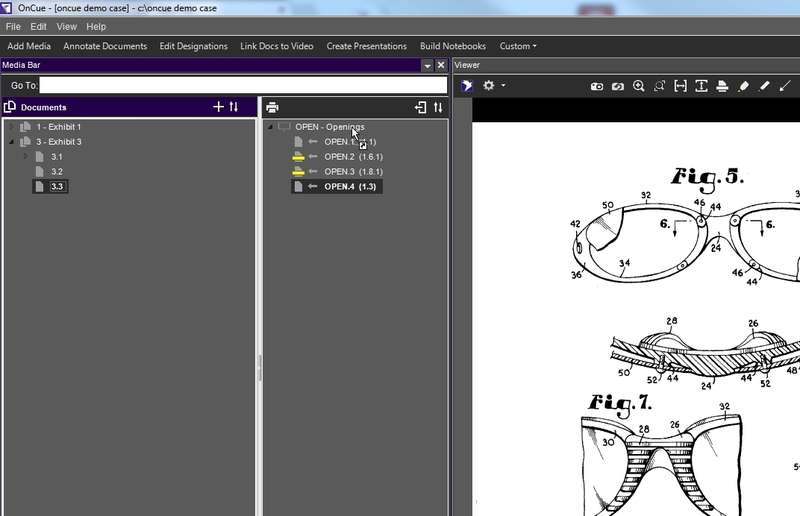 You can add create new clips directly in a Presentation without having to create them in the Video Drawer first.